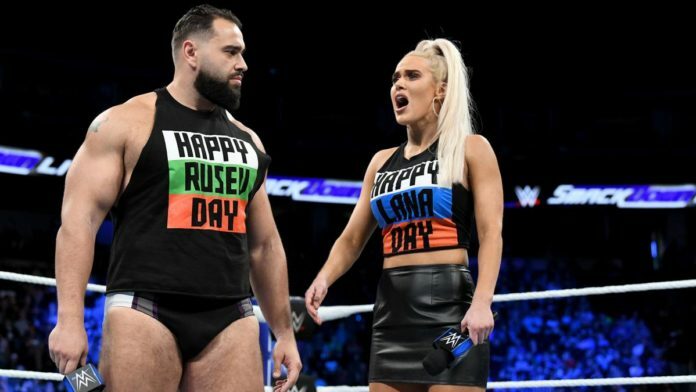 Rusev and Lana had fans talking online after sending out some interesting tweets regarding not making the WWE Survivor Series teams this week. The Men’s Elimination Tag Team Match will see Team RAW (Kurt Angle, Braun Strowman, Bobby Lashley, Drew McIntyre & Dolph Ziggler) vs. Team SmackDown (Daniel Bryan, Samoa Joe, Rey Mysterio, The Miz & Randy Orton). WWE has announced a few matches for next week’s episode of NXT on the WWE Network. Those matches include Mia Yim vs. Bianca Belair, Candice LeRae vs. Nikki Cross and Hanson vs. NXT Tag Team Champion Kyle O’Reilly with the winner earning the War Games advantage for their team at this upcoming event. The episode was taped back on October 17, 2018, from Winter Park, FL at Full Sail University. The NXT TakeOver: WarGames II event takes place on Saturday, November 17, 2018 in Los Angeles, California at the Staples Center and will air on the WWE Network.